Is there life after Potty Power? We watched Potty Power a lot this summer. I mean, a lot. Like, John-Hinckley-watching-Taxi Driver a lot. After a while, I started wondering: who are the actors in Potty Power? Is this the kind of gig you take on your way to stardom? Or are there actors whose whole career is in toilet-training videos? Jessica Cannon, the peppy MC and vocalist who manages to deliver lyrics like “Wash your hands / wash ’em real good / wash your hands like you know you should” with a winning supper-club flair, appears in the New York Daily News in August 2006 as a struggling actor, working kids’ birthday parties and cocktail-waitressing between auditions to keep afloat. She’s now giving piano lessons in New York City. Matt Dyer, who plays the King to Cannon’s Queen in the play-within-a-play, “The Princess and the Potty,” got good reviews this year in a Norwich, CT production of “The Last Session,” a musical about AIDS and the music industry. Also appearing in “The Princess and the Potty” is the biggest success story of all, the scene-stealing jester Todd Alan Crain. He’s continued to appear in kids’ videos, but also seems to get consistent Off-Off-Broadway work, has some appearances on Comedy Central and the Onion News Network, and, best of all, toured the U.S. as Slim Goodbody. It sounds like what pays the bills is a steady series of jobs in the pharmaceutical industry, being the guy in the suit behind the desk who looks a little like a news anchor and introduces the in-house promotional film. I never wondered about who did jobs like that, but now I know — graduates of Potty Power. This is an excellent piece of research. I’ve watched Potty Power 5 times in the last 36 hours, and I’ve wondered who those actors were, and what their careers were like. Thank you for adding this piece of knowledge to the world. I think the jester’s awful, by the way. The joke-telling section is my least favorite part of the whole thing. Hopefully he’s better in other things. My son is currently obsessed with Potty Power and we watch it 3-5 times a day. Last night he actually pulled down his pants and sat on his potty for the first time… so there’s hope! But I was obviously wondering the same thing about the actors… so thanks so much for following up. BTW, I hate the jester, too. But I actually like the song about “Look what you can do by yourself.” I think it’s given my son some confidence about trying new things. Thank you, on behalf of all of us who have had this video burned onto our brains, and have become unhealthily curious about the performers. What is wrong with you people? Do you really find a blog judging others you are completely disconnected from a constructive use of your time? Basing your opinion on others based on what I’m sure was a quick Google search is a great way to feel better about yourself. Is there life beyond this blog Ben Gray? 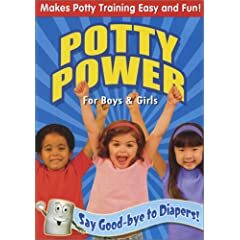 Funny, I was researching this because I have a sneaking suspicion that Jessica Cannon of Potty Power is also the voice of a ton of our toys. Animal train as suggested, A rolling/activity ball we have, a playset, our speak and learn table (that counts numbers, colors, etc.) and a few other things, all Fisher-Price. So I’m wondering if she’s the official voice of fisher-price as well. Extremely cute and friendly voice I might add, good choice by fisher-price if this is the case. Hello DJD (AKA Jessica Cannon or Matt Dyer). Someone is taking things a bit personally. It should also be noted that Jessica Cannon has been the voice of another video short called “Moon Calves” and the “teen girl” voice on a video game called “Thrillville”. I don’t know where the anger is coming from with commenter “DJD”; the blogger isn’t making any judgements at all- at least none that aren’t complimenting. He merely did the research that many of us parents were curious about after watching Potty Power several dozen times. For the record, I think Jessica Cannon is quite attractive, as well as chipper, bubbly and talented. It’s comforting to know that it was not as wierd as I thought googling Jessica Cannons name. BTW “no more diapers for me” is my favorite song on the DVD, and my son sings “proud to wear my underware” as he gets dressed in the mornings! I googled thinking Jessica Cannon was the actress from the Big Comfy Couch, but I guess I am wrong. I think she is lovely and my daughter is in love with this video. When she first sees Jessica she always says Hi. The songs are all very catchy and my husband and I find ourselves singing them all the time. My daughter (18 months) randomly throws her hands up into the air and screams “Paw Pow!”. I wish Jessica Cannon all the best. I hope she finds some good gigs. She pleasant to look at and has a sweet voice. Jessica Cannon deserves her current status. She is virtually no web presence (no pic/file in IMDB), and I can’t find even a clip of her new movie Carroll Gardens. Seems like a sweet and talented lady, but must market herself much better. another parent, here, who has watched potty power what seems like a million times! First with our now 4 1/2 yr old and currently with her little sister (18 mos). I also walk around our house singing these songs…..they are so catchy but they also drive me crazy! “whaddya like to do when you’re sitting on the potty…………. Haha! This is funny. This is our second time through Potty Power (my 4 y/o was obsessed a couple years back and now my 2 y/o loves it). Jessica is def in Go Potty Go (we had that video from the library last week!). Anyone know how old she is? Just wondering…. My kids love the jester. He is supposed to make the kids laugh, and he does a great job. My kids think he is so silly. Jessica Cannon looks uncannily like a friend of mine from a couple duty stations ago who is also named Jessica but I cannot for the life of me think of her last name. I really wonder sometimes if it is the same person. My kids are watching the video now and I was wondering if these people did anything else. Thanks for the summary! I HATE the Jester! SO annoying! I don’t understand how he makes anyone laugh. I was trying to figure out if he was trying to appeal to the adults and failing or if kids really thought he was funny. Gah!!! I can’t believe I googled this but I’m glad someone else did the legwork to satisfy my curiosity! The jester is funny in a corny way. Very silly which makes it funny. My daughter thinks he is so ridiculous. Re. these actors – not everyone is gifted at building on small opportunities. I hope they all find their path. Some just have it so easy or are gifted in knowing what to do and how to hustle. I see no need to judge them though. Some are happy exactly where they are and while others are propelled to be famous. I wish them well. Jessica is a great presenter.